Augmented Reality (AR) – AR is the technology that overlays information and virtual objects on real-world scenes in real-time. It uses the existing environment and adds information to it to make an artificial environment. The NFL has been using it since 1998, adding down lines that move down the field as the play continues. 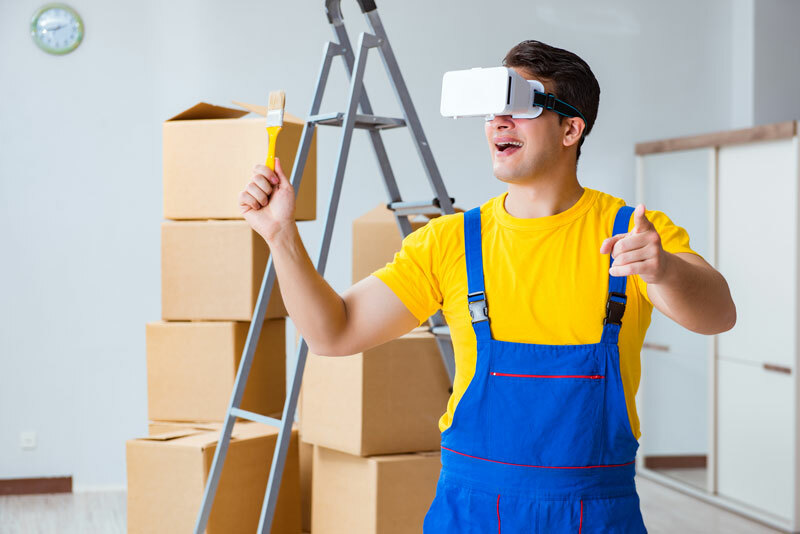 AR to Help You Remodel – Ever bought furniture and discovered it didn’t fit once it was delivered? Ikea has an app that will help you avoid that in the future. It allows you to scan your room and design the space by placing Ikea objects in the digital image of your room to create a new environment with the new products. There are also paint visualiser apps that help you try out different shades of paint for your room before you buy. Just use your smartphone camera to scan your room and virtually paint it with any colour. Picking Your Best Loo – Cosmetic company Sephora uses AR to allow customers to try out different looks and colours right on your own digital face. AR in Healthcare – There are some exciting applications for AR in healthcare from allowing medical students to train in AR environments to telemedicine options that enable medical professionals to interact with patients. In critical situations, augmented reality applications can deliver real-time information to the treatment area to support diagnosis, surgery and treatment plans. Surgeons can plan procedures before making the first cut, models can be made of tumors, and AR diagnostic tools can model disease conditions. Deloitte Research asserts that AR will disrupt the business model and operations of healthcare.